Kpreps.com would like to congratulate Jacque Bretton for submitting the winning photograph for Week 8 of the Kpreps Friday Night Photo Contest. 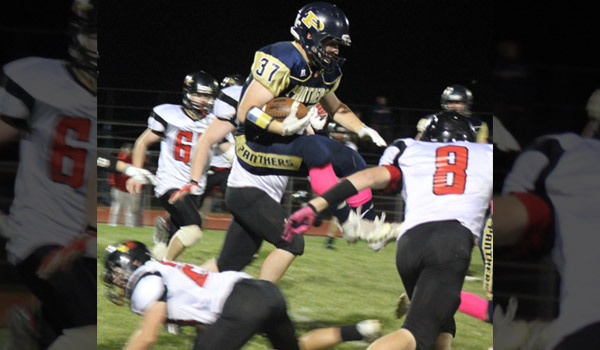 The photo captures Phillipsburg’s Conner Weinman jumping over an Ell-Saline defender during the Panthers’ 52-0 shutout of the Cardinals on October 23rd. For this winning photograph, Jacque is now eligible for our 2015 Grand Prize including $500 in cash.